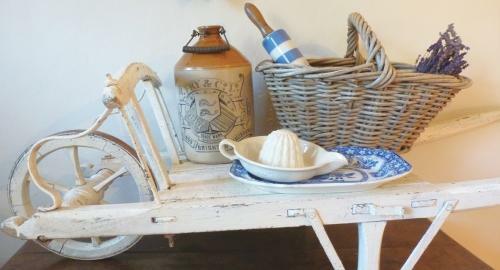 Child's size Victorian Wheelbarrow in old white paint. Very nice shape with curved iron brackets at front and wooden wheel. Really good interior piece or could look amazing as a prop for flower shop window, garden centre, bakers etc.